Perfect for Warhammer tabletop miniatures in 28 mm systems. 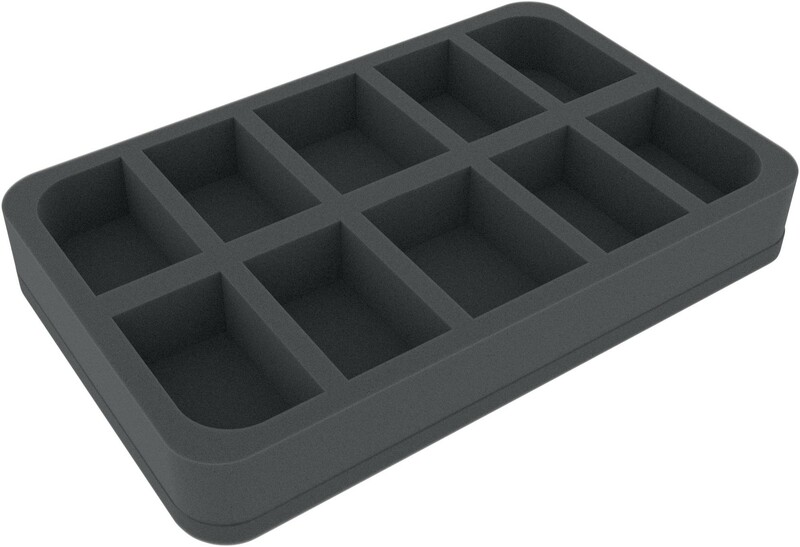 This foam tray has ten slots - each slot 30 mm deep. Ready to use - glued 10 mm foam base. 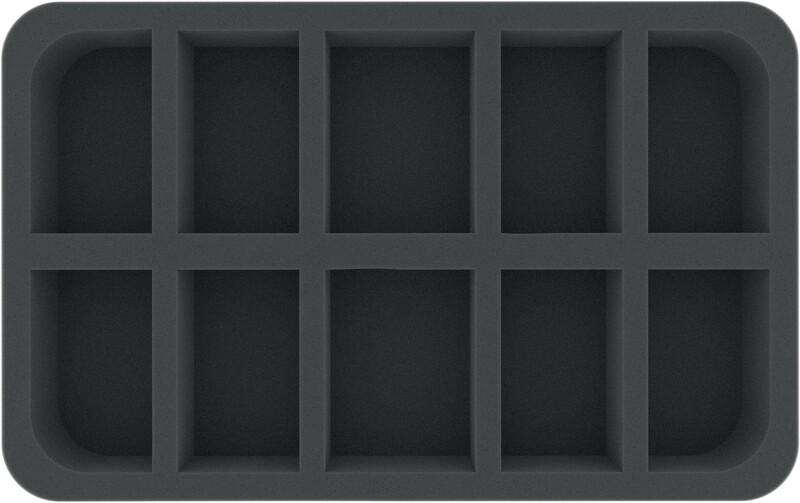 Dimension Feldherr Half-Size (HS) Foam Trays: 275 mm x 172 mm x 40 mm. 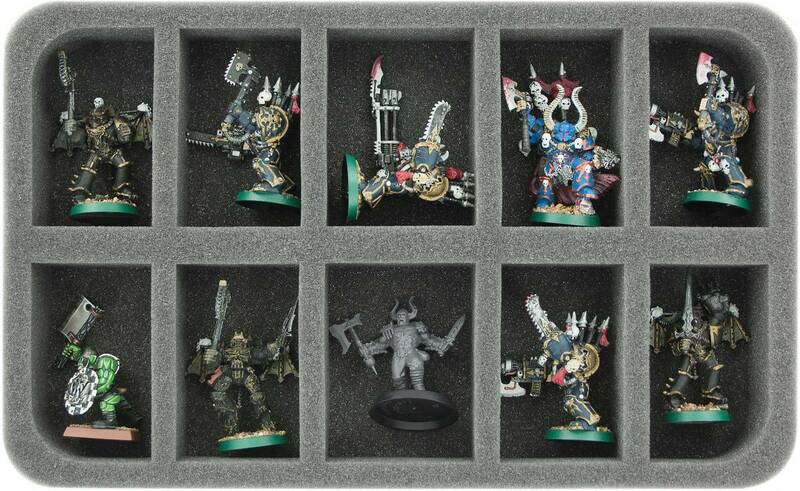 The 40 mm thickness for this foam tray is the result from 10 mm foam base and foam tray with 30 mm effective height.